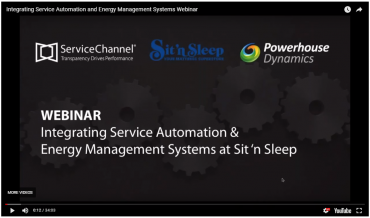 Integrating Service Automation and Energy Management Systems at Sit 'n Sleep to Drive Asset Management Efficiency. What makes retail brand Sit 'n Sleep's energy, asset and maintenance program so efficient. How to drive performance, cut costs and improve customer experience by linking Energy & Asset Management with Service Automation. The best uses cases that leverage IoT technologies to manage your assets and facilities. © 2018 Powerhouse Dynamics. All Rights Reserved.